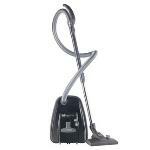 Sebo K1 Expert Reviews - Read Reviews and Buy Smarter Online. Verdict: This is a good looking machine which performs brilliantly! It's easy to manoeuvre and has excellent suction on carpets and hard floors. Highly recommended. Great filtration, low noise and all in one tubes. A breeze to use; a Sebo Commitment. Verdict: Thanks to their commercial origins, and their favour in paper bags and S Class/HEPA as standard filter preferences Sebo hold their position as being one of the largest producers of vacuum cleaners designed to last.